The terrible housing conditions prevalent in the 19th century caused by overpopulation, exorbitant cost and unhealthy surroundings, led factory owners to develop real estate projects to improve the housing of their workers because they recognized that working conditions and housing conditions were interrelated. Various initiatives came about, including the housing estate in the 12th arrondissement built in 1867 by the Société co-opérative immobilière des ouvriers de Paris (Paris workers housing cooperative society), which is considered the ancestor of housing cooperatives. The unions made housing one of their major concerns. The housing co-operative movement in France really took off in the early 20th century with the adoption of a set of legislative measures, including: the 1894 Siegfried Act, which paved the way for the emergence of HBMs [“Habitations à Bon Marché” meaning inexpensive housing], the 1906 Strauss Act, which specified the co-operatives intervention system, the 1908 Ribot Act, which introduced low-interest government loans to enable people to own HBM co-operatives, and lastly, the February 1921 Act that provided reduced-interest loans to co-operatives. The first HBM construction program was passed by Parliament in 1928 and before the Second World War, 10,000 co-operative housing units were built, mainly focused on access to “modest” ownership. The name ‘HBM’ was changed in 1951 to HLM, Habitations à Loyer Modéré, or rent-controlled housing. The housing situation at the end of World War II was a disaster. Two co-operative approaches coexisted at the time. The Castors movement, which made it possible for people on a modest income to build their own houses under a non-HLM system based on individual efforts and community work during construction, built more than 12,100 housing units between 1948 and 1952. Parallel to this, the HBM (HLM) co-operatives were reactivated and an act was passed in 1947 to re-launch their development. The HBM co-operatives developed using the rent-to-own approach, which allowed gradual ownership of the property. The focus was on the construction of cottages, which were better suited to the lease-to-purchase formula, for example the “chalandonnette” initiative, named after the Minister of Housing of the period, Albin Chalandon, who introduced the policy for individual houses. Between 1950 and 1965, with 35-year 2% mortgages, 140 HLM co-operatives were established, representing some 130,000 units. The co-operatives also developed rental projects, although in smaller numbers. Under this formula, the tenant-co-operative member subscribes to shares equivalent to at least 15% of the cost of the unit that give a transferable right to occupy the unit, along with monthly rent to cover operating expenses. 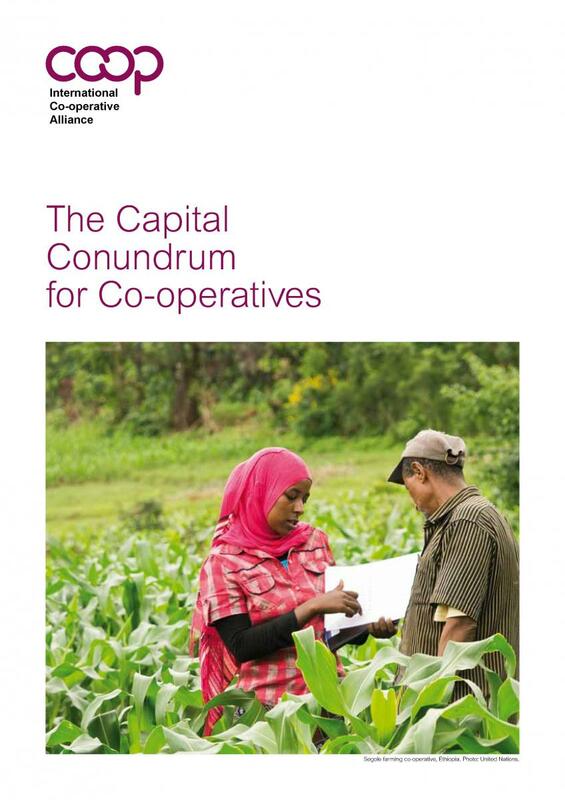 In addition to building, co-operatives administer solidarity savings funds to help co-op members experiencing problems, lend money from their own funds or in co-operation with financial institutions, and own and administer rental buildings. Despite this development, the movement went through a very turbulent period. The philosophical differences between the left-leaning and Christian movements, the differences in the approaches, with greater urban development than rural, and a confrontation between the leaders, led to a schism. A second federation, the Fédération française, was established in 1953. The two federations, the French and the National, were reunified in 1963. The authorities became increasingly concerned about the dual mission of building and managing HLM co-operatives. The desire to provide a better structure for the efforts of co-operatives, in order to protect them and co-op members led the government authorities to make three legislative changes that considerably diminished the ability of co-operatives to take action. The authorities wanted to introduce a financial and organisational framework to reduce the risk involved in the three forms of HLM co-operative development that were in existence, namely rent-to-own, co-op rental and straightforward rental. The November 1965 decree therefore introduced major changes within the HLM co-operative movement, and caused a great deal of disappointment. The decree redefined co-operative rental and rent-to-own and reformed the share subscription system. 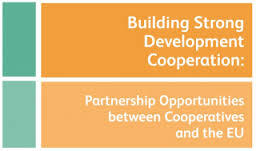 It prohibited co-operatives from renting and required that the existing portfolio be assigned to HLM organisations. A total of 27,610 housing units were transferred in this way. Co-operatives were forced to specialize in property ownership. This was a major change because co-operatives had always tried to meet the needs of people seeking housing through a variety of different formulas. The attack on the co-operative movement continued with the passage of what are generally called the “infamous” laws of July 1971. Both statutes took away from co-operatives the right to build on their own and forced them to use the services of a third party. 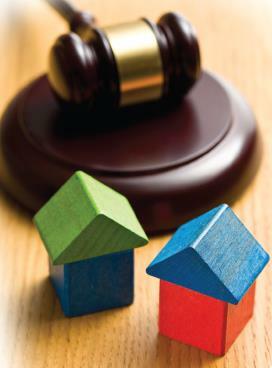 Henceforth, the functions of builder and manager were separated into distinct legal entities. The rent-to-own co-operative societies (SCLA) had to convert into “Société coopérative de production” (SCP) if they wished to continue with development. Many gave up the co-operative structure which had become too burdensome with the new administrative and legislative changes and moved towards the establishment of corporations. Between 1972 and 1974, 50 rent-to-own co-operatives gave up their co-operative status to become HLMs organisations. Lastly; co-operative rentals were now prohibited, as ordinary rental had been several years earlier. Co-operatives had built and managed over 50,000 rental units between 1947 and 1971. It amounted to the breakup of the HLM co-operative movement, a fragmentation that was felt for more than a decade. During that period, non-HLM co-operatives that grew out of the Castors movement also ceased to exist because of a shortage of financial resources, except for four, which remain in operation. In the years that followed, the movement continued to lobby for more flexible co-operative regulations. In 1983, the co-operatives gradually recovered all of the areas of jurisdiction they had lost in 1971. 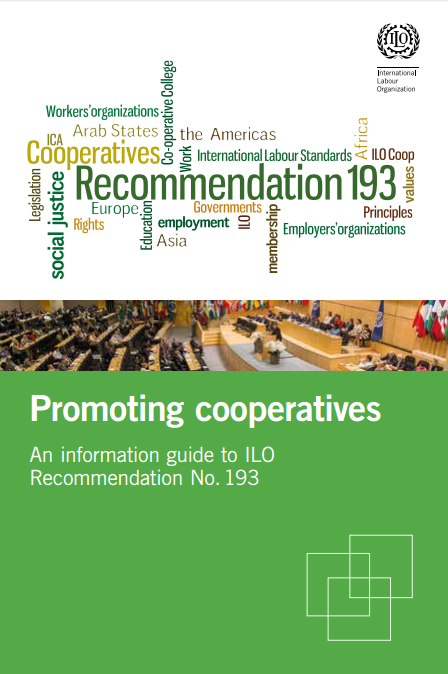 The HLM co-operatives established a monitoring system, called compulsory review, with which all HLM organisations had to comply after the passage of the Act in 1983. The movement redefined itself and reaffirmed its objective to promote ownership for people with low-income. Rent-to-own, the approach that still applies today, was defined during this period and adopted under the July 12, 1984 Act. It was also during this period that the Federation of HLM co-operatives moved into the facilities of the HLM union (which it had co-founded in 1925), consisting of public offices, HLM housing corporations, real estate credit corporations and regional HLM associations. 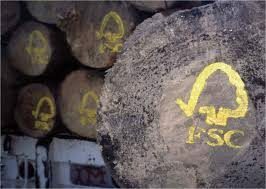 The Dubesset report published in June 1989 reported that many co-operatives were experiencing serious difficulties that could jeopardize their very existence. Measures were to be taken as quickly as possible. A memorandum of understanding was signed between the Federation and the public authorities, which set out the commitments of the Federation with respect to providing support to co-operatives experiencing difficulties. 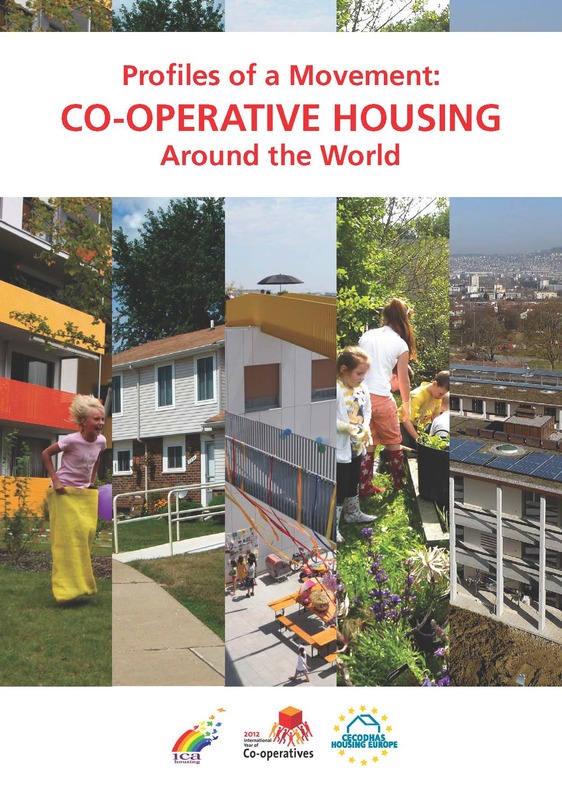 The Cooperation Modernization Act, which was passed in 1992, and the 2000 Act on urban solidarity and renewal (SRU) established the HLM co-operatives as genuine stakeholders in housing in France. This legislation broadened their field of intervention and gave them jurisdiction akin to that of HLM offices and corporations. With the under-capitalization of co-operatives acknowledged to be an impediment to development, the HLM co-operative corporations are now open to associates who are not members of the co-ops. At the same time, the movement contributes to this modernization with some of its tools, such as the SDHC (corporation for the development of co-operative housing), which was established in 1980. Lastly, measures to secure access were put in place to protect the financial investments and homes of co-operative members. France is facing an unprecedented housing crisis with a shortage of 800,000 housing units. This shortage is the direct result of a decline in construction over many years, a result of the weakening of the welfare state which has allowed market forces to have free rein. Faced with rising production costs, tighter credit and higher interest rates, it is becoming increasingly difficult to develop affordable projects. Over 4 million people are looking for housing every year, 1.3 million of whom are seeking affordable housing. This housing crisis is affecting not only low-income households, but middle-income households as well. Fundamental needs are changing, demand is more heterogeneous and, as in many countries, France is undergoing deep economic and social mutations, including the growing number of wage earners working at the minimum wage. Although just over a half of French people are owner occupants, 9 out of 10 French people aspire to private ownership. This aspiration has influenced the shape of development targeted by housing co-operatives in France, which is ownership. The ability to produce housing of a high environmental standard at a cost that is compatible with the incomes of first-time buyers and. The promotion of the co-operative status and the possibility of assisting co-op members over the long term through housing services. In 2011, 102 HLM co-operatives built 3,348 housing units for social ownership, signed 907 construction contracts to build individual houses, began 1,201 rental social housing units, developed 282 building lots, and administered 38,000 units and 1,176 co-ownership associations. 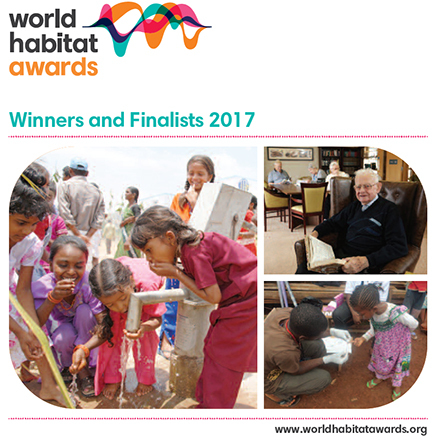 Sixty per cent of the social housing developed each year for low-income household ownership is built by HLM co-operatives. Construction and sale of housing via government-supported access to ownership. Construction and management of rental housing under HLM regulations. 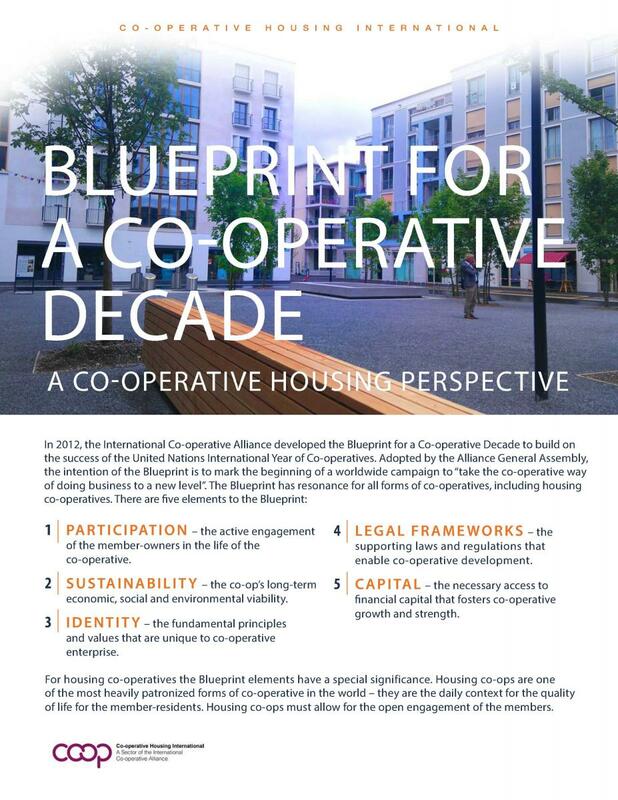 This is the oldest and most widespread form of housing co-operative in France. 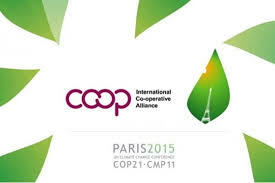 Membership in these co-operatives includes user members and co-operative employees, with these two groups jointly holding 51% of voting rights independently of their share capital. Membership also includes other non-user associates, whether individuals or companies, who can share between 35% and 49% of voting rights, on a basis that is prorated to share capital. 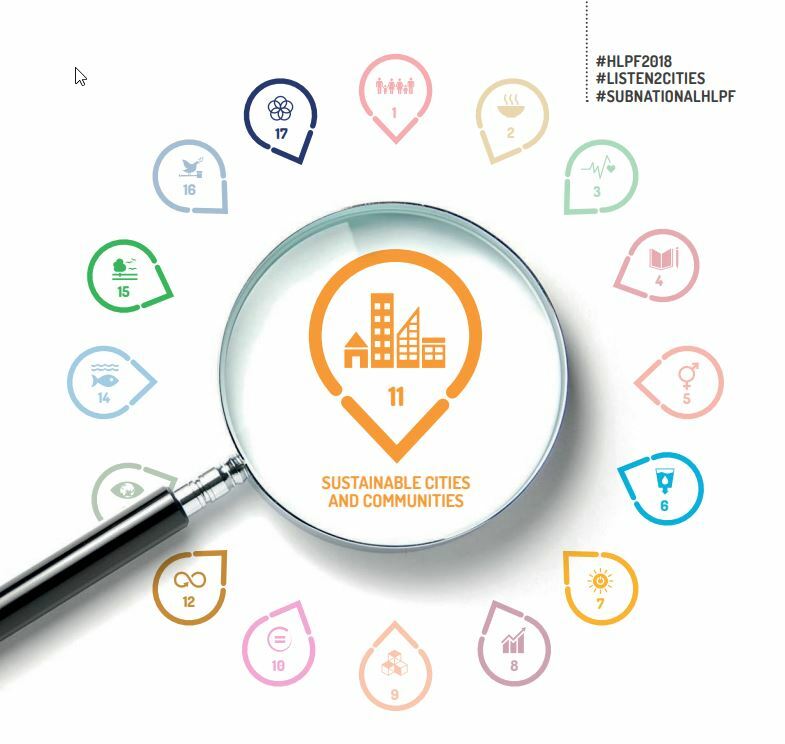 The SCIC, which was introduced under the 2003 Act to guide and program urban renovation in cities, is the most recent HLM cooperative structure in France. The organisation of its membership is different, and based on colleges of associates. The Act provides for three mandatory colleges: individual users, employees and public bodies. Each college must hold at least 10% but no more than 50% of the voting rights. The employees’ college has a ceiling of 15% of the voting rights. The co-operatives may establish other colleges. Adherence to and compliance with a code of ethics that establishes principles governing the operations of the HLM cooperative and its relationships with others. Adherence to the charter for sustainable and solidarity long-term housing that requires co-operatives to introduce measures that demonstrate their “role as a local player in sustainable territorial development” (energy performance, environmental and citizen behaviour measures). 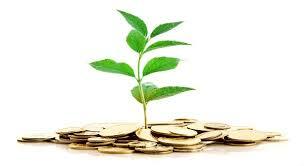 Mandatory financial contribution to a training fund for professionals and volunteer managers. Under the control of management, the board of directors adopts a development plan and ensures that it is followed. The board consists of volunteer directors. For co-operatives with rental units, at least one board member is to be a tenant representative. There is a ceiling on earnings from shares and reserves cannot be shared. The co-operatives are managed by an executive director who can also perform the function of chairing the board of directors. Membership is open to shareholders who are not members of the co-operatives (organisations) in order to increase capitalization. These shareholders’ voting rights are proportional to the share capital, but they remain in the minority (no more than 49% is allowed in HLM SCPs) within the cooperative. However, this minority status is often only virtual because the vote count at meetings is based on the members in attendance. Non-co-operative shareholders therefore often have a major influence on the business of the co-operative, particularly as they are there to ensure that their investment grows. Furthermore, the status of co-op members for very low cost ownership and rent-to-own projects is often temporary because people remain members of the co-operatives only for as long as it takes them to acquire ownership of their housing unit. Once the titles have been transferred, members withdraw their shares in the co-operatives and no longer participate in decisions (according to the policy established by the Council). Participation in the self-monitoring system managed by the Federation, whose purpose is to optimize co-operative management and prevent problems. The system is based on three measures: the DIS, an individual status report establishing financial reports on an annual basis, an annual audit of all aspects of management systematically required of co-operatives that are experiencing problems and/or performed on request, and lastly, a mandatory review of the co-operative every five years, which consists of a financial, operational and organisational analysis. Access to a set of security measures to protect the financial investments and homes of members in the event of problems such as a change in the composition of the household, or the need to move as a result of a change in work or a disability. The measures include resale insurance to cover any financial losses involved in the resale of the unit, a repurchase guarantee in which the co-operative agrees to buy back the unit at an agreed price and lastly, a relocation unit guarantee, either by remaining in the building or relocating. Resale insurance remains in force for a period of 10 years, whereas the buyback and relocation guarantees are maintained for a period of 15 years. They are intended primarily for low-income households purchasing their primary residence, and whose income does not exceed established ceilings. They are sold at prices that do not exceed the price ceilings for each operation. The purchasers receive support over time through the HLM safety net. Prospective owners are also co-operative members: they become associates of the HLM co-operative and are asked to attend the general meetings. The HLM co-operative may in certain instances also manage the co-ownership property and in doing so work together with the co-owners to ensure the long-term existence of the building. Depending on the level of involvement by the local community in the implementation of the operation, the HLM co-operative may include in its sale contract clauses limiting speculation and abusive resale of housing units with a view to providing guarantees to the local community that the efforts it has made will not do anything to cause further price increases in the real estate market. For rental units, HLM co-operatives are financed by public funds (primarily the Livret A government guaranteed savings program), as are all HLM organisations. For purchases, the co-operative members are financed by their banks through loans provided by the government (PAS loans, zero-interest loans). The “rent-to-buy government supported loan” (PSLA) deserves to be mentioned. It enables households without personal assets to acquire the housing unit they live in as tenants. Operations under this system consist of two phases. In the first phase, the housing unit is financed, as is the case for a straightforward rental operation, by an HLM operator. The households living in the unit pay an amount that consists of occupancy rent, management fees and savings (the “acquisition portion”). At the end of this first phase, the length of which may vary, the household is given the opportunity to opt for ownership status. This “old formula” contract is available for acquiring a new property or an old property. The PSLA enables purchasers to have a reduced value-added tax of 5.5% instead of 19.6%. HLM co-operatives also have access to the financial resources of the SDHC in the form of share capital or operational support. Grants to reduce infrastructure costs. 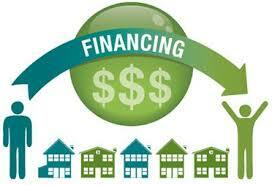 Direct financial assistance to purchasers who are below the income ceiling. Establish a social housing quota for all developments that exceed an established threshold. 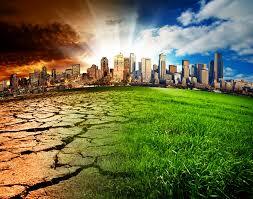 Co-operatives invest their shareholders’ equity in the development of their rental projects. The Code du commerce (commercial code) – as a corporation. The September 10, 1947 Act on the status of co-operatives. 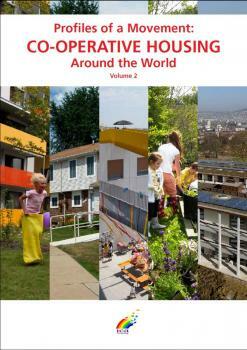 HLM legislation and regulations: construction and housing code. HLM co-operatives are all under the HLM (FNSC-HLM) national federation of co-operative societies. The FNSC-HLM, which was established in 1908, represents HLM co-operatives at the political level and vis-à-vis social housing partners, in addition to promoting co-operatives, working towards the introduction of policies that promote the development of co-operatives, and providing development and operational assistance to co-operatives. In 2008, the movement adopted a new strategic development plan articulated around three objectives: “produce more, produce better and produce everywhere”. The Federation is governed by a federal council of 28 members elected by the General Assembly and the six interregional districts. HLM co-operatives are member of a regional union. There are seven regional unions active across the country. These unions are financially independent and implement the objectives of the movement at the regional level. The regional unions are grouped within the six interregional districts, which designate 16 members to the federal council for a term of three years. The Federation also has an ethics committee that enforces the code of ethics adopted by the HLM co-operatives. 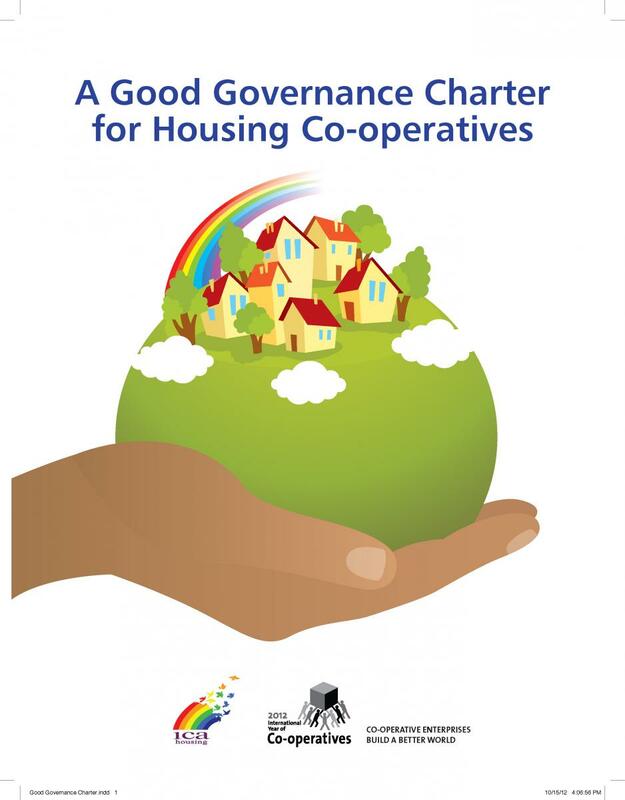 The FNSC-HLM has 165 member HLM co-operatives representing 23,000 social housing units, and which produce 5,000 new social housing units for ownership each year. There are 1,000 people working directly on behalf of the movement. By becoming a member of the Federation, the co-operatives agree to comply with the self-monitoring system established by the Federation and to belong to A.RE.COOP, a training association. The co-operatives also agree to subscribe to the SDHC capital, a society assisting the development. The SDHC, the Société de développement de l’habitation coopérative, was established in 1980. It is an open-ended investment company whose mission is to support the development and facilitate the continued existence of co-operatives through share capital and/or governance support by sitting on the board of directors. 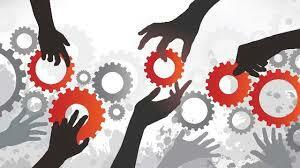 The corporation acts as the guarantor vis-à-vis the other partners for strategic projects. The capital comes from contributions of the Federation’s members. SICAV, an open-ended investment company, is a “financial co-op” established in 1995. It offers investment products to the co-operatives issued by the government or guaranteed by the government, whose yield is equivalent to market. Fifty percent of management fees required by the manager are paid into the SDHC. A.RE.COOP, the association that reviews, assists and acts as guarantor for co-op corporations, was established in the early 80s. Its mission is to train co-operative employees and administrators, as well as to carry the mandatory co-operative review required as part of the self-monitoring system established by the Federation.